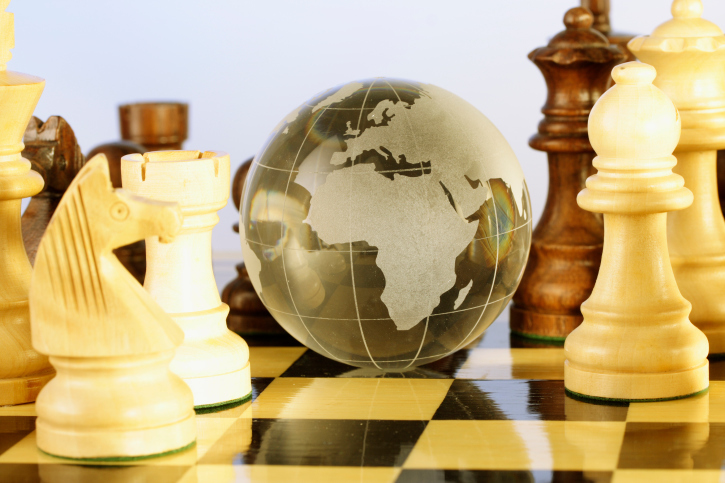 / Voluntary Carbon Offsets: How Important a Piece on the Climate Chess Gameboard? When it comes to the ultimate collective action problem we face in the form of climate change, a critical question is whether we will transition to a low-carbon economy before or after we’ve committed the planet to 4, 6, or more degrees Centigrade of warming. The strategy game of chess — in this case with numerous players and hundreds of pieces engaging on a planetary chessboard — is an effective way of visualizing the collective action challenge. With time and resources in short supply, we need to make sure we’re identifying and playing our best chess pieces to maximum advantage. Are we doing that with voluntary carbon offsets (as distinguished from regulated offset markets like AB32 in California)? • How many tons of CO2e have been prevented from entering the atmosphere and contributing to climate change? • Have voluntary carbon offsets played other roles, whether strategic, educational, or otherwise, in helping address climate change? How Many Tons of CO2 Have Been Offset by Voluntary Carbon Markets? The amount they’re referring to is not very much when looked at on a global scale; 930 million tons is about 3% of annual global CO2 emissions, and less than ½ of 1 percent of cumulative global emissions during 2007-2014. But we know there is no “silver bullet” when it comes to climate change; most pieces on the chessboard can only hope to play a “silver buckshot” role. Anything close to 1 billion tons would probably count as “silver buckshot” in anyone’s book. The more important question is whether we can have confidence in the 930 million ton figure. The authors of the Ecosystem Marketplace report would be the first to note that the market information they had available doesn’t allow them to really answer the question. But it is a starting point for some back-of-the-envelope calculations that should give us some insight. Moreover, these calculations can suggest how severe a “haircut” we might have to give the 930 million ton figure before feeling confident in using it in evaluating the performance of voluntary carbon offsets as a game piece in Climate Chess. Tons traded more than once. 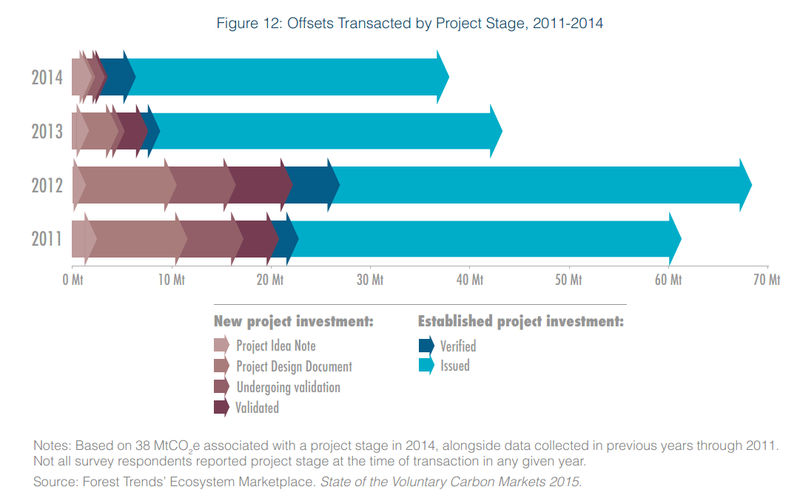 As the Ecosystem Marketplace Report notes, voluntary carbon markets do not use a tracking and verification system that can identify how many offsets were traded more than once. Offsets could be bought and sold several times by brokers or speculators before being sold to a final consumer (at which point they are presumably retired). We’ll assume that only 10% of transacted tons were double counted in this way. Haircut: 93 million tons. Chicago Climate Exchange tons. The 930 million ton figure includes 220 million tons transacted through the now defunct Chicago Climate Exchange (CCX). CCX protocols for certifying voluntary carbon offsets were famously weak. The most common problem was allowing CO2 reductions that were already going to happen to be counted as offsets. Those reductions weren’t “additional,” in the language of offsets, because they weren’t motivated by the existence of the voluntary offset market. It’s reasonable to assume that 50% of CCX tons suffered from this problem. Haircut: ~110 million tons. Renewable Energy Certificates: The report notes that 83 million tons of “wind offsets” were sold during the period 2007-2014. This amount accounts for 20% of the 412 million transacted tons for which a specific offset type was listed. If we assume the same 20% proportion applies to the rest of transacted offsets, wind would total almost 190 million tons. But most “wind offsets” are nothing more than transacted Renewable Energy Certificates (RECs), and the literature is convincing that voluntary RECs do not reduce CO2e emissions. It’s conservative to assume that 75% of the “wind offsets” cited in the Ecosystem Marketplace did not actually offset anything. Haircut: ~120 million tons. After accounting for these three variables, we’re left with about 620 million tons of potential offsets. Is that the best number to use in evaluating the Climate Chess performance of voluntary carbon markets? Probably not, because the Ecosystem Marketplace report data suggest there are other problems with assuming that the voluntary carbon offset market is significantly benefiting the climate. For one thing, offset prices are too low to drive risky decision-making. The report notes that the average price of offsets over the period 2007-2014 was $5.80, although it has varied over the period (from a high of $7.30 in 2008 to a low of $3.80 in 2014), and ranges widely by offset type (from $2/ton for wind offsets to $14/ton for grassland management offsets in 2014). Under these circumstances, median figures probably would have provided more insight than average numbers, but the report doesn’t provide median figures. Average offset price, however, is not what actually “trickles down” to offset projects. At least 25% of the average offset price is consumed by brokerage margins, offset verification and issuance costs, and other factors that don’t contribute towards actual emission reductions. At best, the average amount of money trickling down to emissions reducing activities has been $4.30/ton. That’s an average number, so the actual number is much lower for many offsets. Anyone who has worked with offsets knows how little money $4.30/ton is when it comes to encouraging an individual or a company to participate in an emissions reducing activity in which they would not have otherwise engaged, and which is not economic to pursue in its own right. Whether protecting a forest or flaring methane at an abandoned landfill, setting up and managing a legitimate carbon offset project generates risk that has to be rewarded. On a risk-adjusted basis, the amount of money available to pay for the offset project is significantly lower than even the $4.30/ton figure suggests. The reality is that voluntary offset prices are just not high enough to have confidence that all or even most offsets being transacted come from legitimate (additional) emissions reducing activities. The second but related problem is suggested by Figure 12 from the Ecosystem Marketplace report, shown below. It shows that the majority of offsets transacted involved “established project investment.” In other words, these projects were up and running before offsets were being sold to pay for the project. This funding strategy significantly reduces risk for the offset buyer, but dramatically increases risk for the seller. It basically means that someone is funding and implementing a non-business as usual activity on the basis of a promised but ultimately uncertain offset payment sometime in the future. As someone who has developed offset projects, I can tell you this is quite a challenge. It is all too tempting for all concerned to figure out how to generate and sell offsets from projects that would have happened anyway for one reason or another. Given these pricing and contracting circumstances, it would be surprising if more than 50% of the remaining 620 million tons of reported transacted tons represented true net emissions reductions. To play the role of an offset, an emissions reduction MUST have been made possible by the workings of the voluntary offset market. Reductions happening anyway can be characterized as good deeds, but not as offsets. So instead of the original 930 million tons, the cumulative emissions reduction impact of voluntary offset markets may well be closer to 310 million tons, and based on this back-of-the-envelope calculation seems unlikely to exceed 500 million tons. But these are rough estimates to be sure. The point is that in order to play better Climate Chess, we need to be asking the question. For Climate Chess purposes, is a piece on the board cumulatively responsible for 300-500 million tons of CO2e reductions a good performer, an ambivalent performer, or a poor performer? Without looking at other chess pieces it’s hard to make comparisons, but cumulative voluntary offsets equivalent to 1% of annual global emissions should give us pause in light of the enormous effort that has gone into building and promoting voluntary carbon markets. Have Voluntary Carbon Markets Played Other Important Roles? The performance of Climate Chess pieces on the planetary chessboard is not necessarily just about measurable tons of emissions reductions. The Ecosystem Marketplace report posits some indirect benefits of offset projects including job creation, biodiversity conservation, and watershed protection, but those are not the indirect impacts of most relevance to Climate Chess outcomes. In the case of voluntary offset markets, perhaps the markets have advanced objectives of public education on climate change, or the promotion of public policy development. These impacts could potentially be more important to long-term Climate Chess outcomes than the offsets themselves. Very early in their development, for example, voluntary carbon offsets were useful in helping move electric utilities and other companies onto the difficult path of climate change mitigation. They wanted to be seen as “doing something,” and low-cost voluntary offsets encouraged them to take action. Once on that slippery slope, it became much harder for those same companies to reject climate science, or totally oppose climate policy. In some circles, carbon offsets have developed a very bad reputation. Examples have been recently documented in the World Rainforest Movement’s REDD: A Collection of Conflicts, Contradictions, and Lies. This problem is not just attributable to voluntary offset markets, but the general public has a lot of trouble with the idea that voluntary offsets and regulatory offsets are entirely different commodities. So when voluntary offsets lose credibility, market mechanisms in general, and even climate policy at large, could be affected. Voluntary offsets are often sold as a palliative, suggesting “it’s ok to [insert action here] if you buy offsets to go along with it.” With offsets as cheap as they are, it may not even generate much thought among those consumers likely to push the “offset me” button for their airline flight or their package delivery service. That probably doesn’t encourage the kind of discussion and decision-making about long-term energy trends and objectives that climate progress requires. Cheap voluntary offsets have become another simple way for companies to paint themselves as green. Whether by claiming carbon neutrality, or rolling out supposedly carbon neutral products and services, or offering consumers the ability to offset their purchases for very little cost, voluntary offsets are everywhere. But if many of those offsets are not legitimate to begin with, could well-meaning companies’ efforts eventually backfire if labeled as greenwashing? These issues should give us pause. Voluntary offsets seem to rarely be used as a platform for really promoting understanding of climate science, or advocating for strong climate policy, probably because focusing on those messages likely interferes with the fundamental goal of selling offsets. The more complicated the message, the lower the sales? People concerned about climate change have a collective interest in advancing the objectives of Climate Chess, which means we have a collective interest in understanding and improving the performance of the pieces on the Climate Chess game board. Unfortunately, we all tend to look at what we’re doing through rose-colored glasses, and the industry that has built up around voluntary offset markets is no exception. But it may be a losing Climate Chess strategy if we’re simply distracting ourselves and others from the real opportunities to make real progress on climate change. It’s up to all of us to think hard about whether we’re being “the best we can be” when it comes to efforts to address climate change. Voluntary carbon offsets are no exception. Excellent piece Mark. This needs to be seen and considered by many businesses.